Berjaya Times Square Kuala Lumpur was officially opened on 29th September 2003 by Prime Minister of Malaysia, Tun Dr. Mahathir Mohamad. 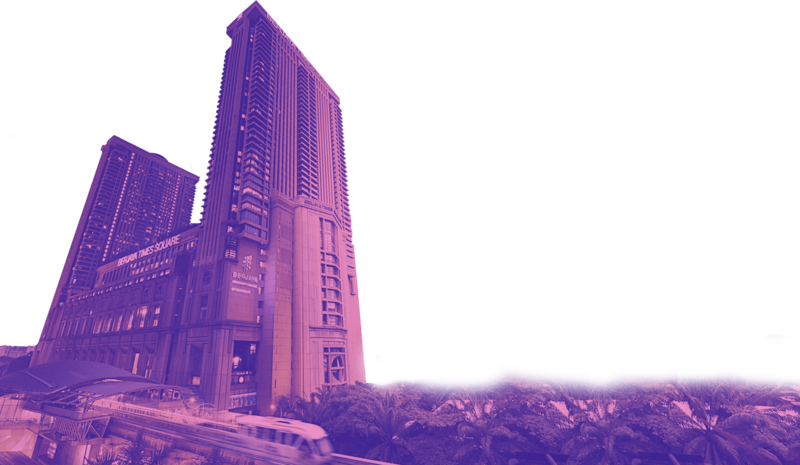 The RM1.75 billion building was developed by Berjaya Assets Berhad which is majority owned by Tan Sri Vincent Tan. With over 2.5 million people visiting the mall each month, Berjaya Times Square prides itself as the best shopping experience under one roof for locals and tourists alike. Deciding where to shop in Kuala Lumpur has never been easier. Berjaya Times Square offers various conveniences, making your shopping experience a memorable one.